Hope and connection brought people together around the globe on July 26, 2014. Organized through Facebook, the day became one to remember and quite unlike any other, marked from sunrise to sunset with tributes and respectful activism taking place in significant public and private locations. AAWA acknowledges their courage. 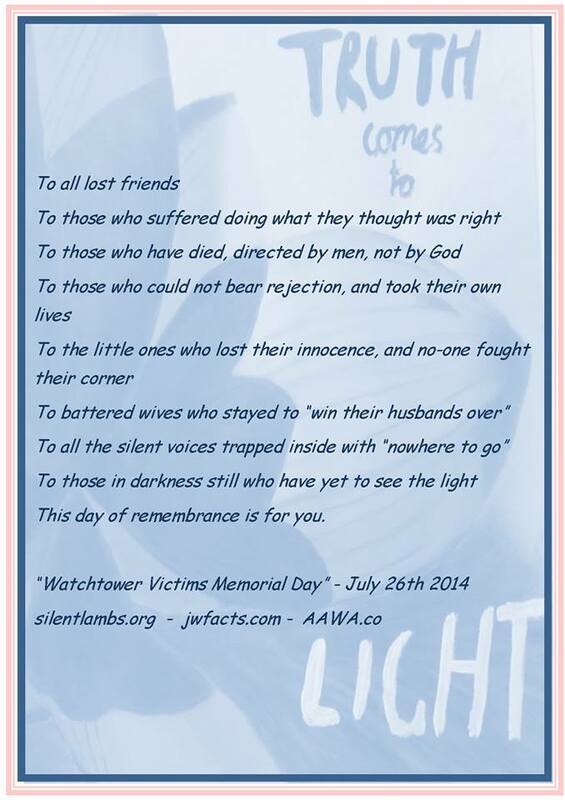 We celebrate the brave actions of so many former Jehovah’s Witnesses and those who supported them – including their friends, husbands, wives, children and partners. The cards, videos, photos, songs, testimonials and flowers are simple but effective tributes to these people. They may not know each other personally, but they are all connected and share a unique experience that connects them forever. For some it provides a certain feeling of unity with a broader community. During the day some of the messages shared the very personal heartbreak for loved ones who have committed suicide. 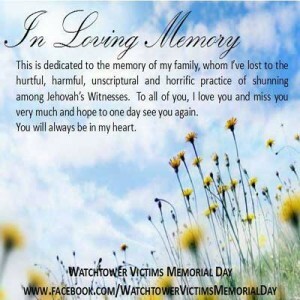 Other messages and posters identify those who have not seen or been able to speak to their Jehovah’s Witness family members. The truth is that their family can not show any love to them – no hugs, kisses or any other show of affection. They have effectively been cut off and isolated by their own flesh and blood – based entirely on the instructions of the Watchtower’s Governing Body. 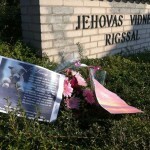 Some messages acknowledged the distress and damage of child molestation, calling upon the Governing Body to create and enforce policies that will actually protect children and other congregation members from criminal predators. As in any proper community gathering, the perspectives of individuals were heard, shared and discussed. 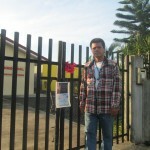 AAWA congratulates them all and applauds the success of their memorial project. We look forward to supporting and publicizing this in future years and we hope it becomes an annual event. AAWA is an organization that acknowledges that its own strength and success comes from those who are willing to find peaceful, cohesive and mutually supportive ways of letting the Watchtower Society know that change is not only needed – but demanded. It Amazed me to see just how many out there have lost loved ones to this Cult..I feel Empowered by the Solidarity of All who Participated…Thank You!!! Let the event be annual! Despite the Watchtower publicity over her, this girls talked about in the Year Book 2008 has been humiliate beyond imagination. She was praised yesterday and extremely humiliated today. Her family is totally destroyed and she represents many children here in my country who are suffering beyond what normal (not spiritual) people can understand!! A teenager named Gentille became famous because of her ability to score goals when playing soccer. People called her Manayibitego, which means in the local Kinyarwanda language “God of Goals.” Some Italians noticed her ability and gave her additional training. They then invited her to participate in soccer games in Italy. Moving to Europe and having the opportunity to become an internationally known footballer was an attractive prospect. However, Gentille knew that accepting the offer would involve leaving her family. Her mother is a Witness, and although Gentille had studied the Bible, she never took the study seriously. What came first in her life was soccer. Gentille discussed the matter with her mother and came to realize the spiritual dangers involved. She decided to decline the offer and to put Kingdom interests first in her life. She was baptized at a recent assembly. I would like to convoque all people around the world to the CINICAL MEMORIAL DAY. To remember us who give us flowers maybe think we are dead. To remember us all persos who betray us witha friedly kiss. And the hero and symbol of our Memorial Day will be na anonymous guy which appears here this vídeo, bringin flowers to a Kingdom Hall. And after at the begining of vídeo, at the left side of vídeo. Wearing a brown/grey jacket and black trousers using a glass. At her han theres delicate pink flowers. 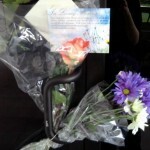 And he share this flowers in the cars of Kingdom Hall. Our hero appears after at exactly 0.43 sec until 0.47 sec, inside of property of Kingdom Hall, at left side, between thos lovely persons who wants just give a kind souvenirs. He is the unique guy using social clothers. At the 2:06mins he appears again, still with flowers to give. And again at the 2:16 mins and at 2:37 mins. But unfortunately the policemans appear and breaks this Memorial. The police don’t understands that love’s message. At the 2:58 mins, 3:04min our symbol appears again stil with flowers. Do you want one flower? This is highly appealing to me. Will this happen again next year? Should I go to the Kingdom Hall where all the trauma happened? The one where I was disfellowshipped, reinstated, then faded away – the Kingdom Hall my mom still attends? Or should I go to one in the area I now live?